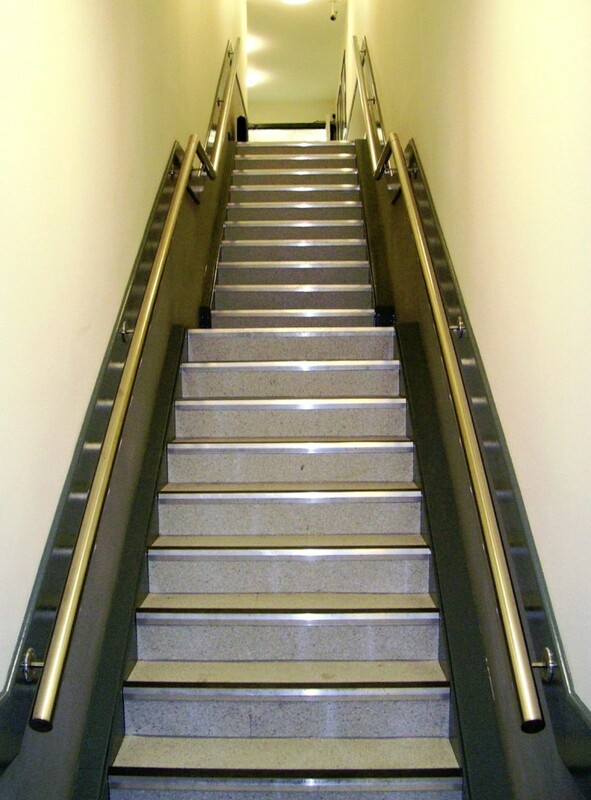 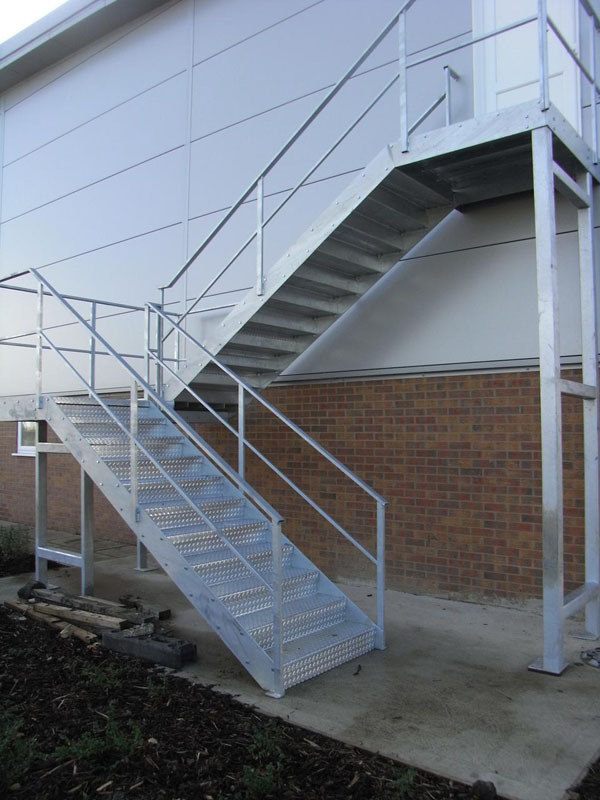 We design and manufacture custom industrial staircases and access walkways at our York premises, providing bespoke designs to suit your specific needs. 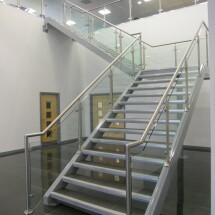 All our industrial staircases and walkways are of a steel construction. 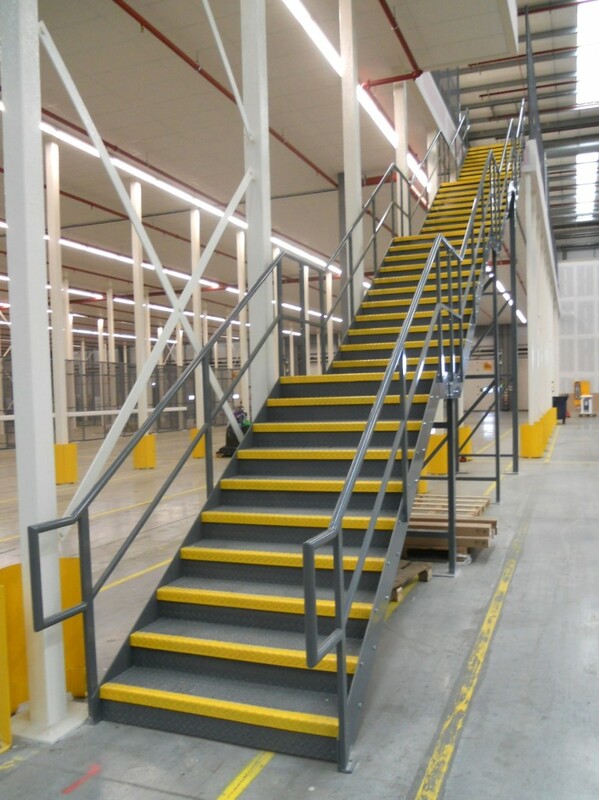 Industrial stairs are available from 900mm to 1200mm wide. 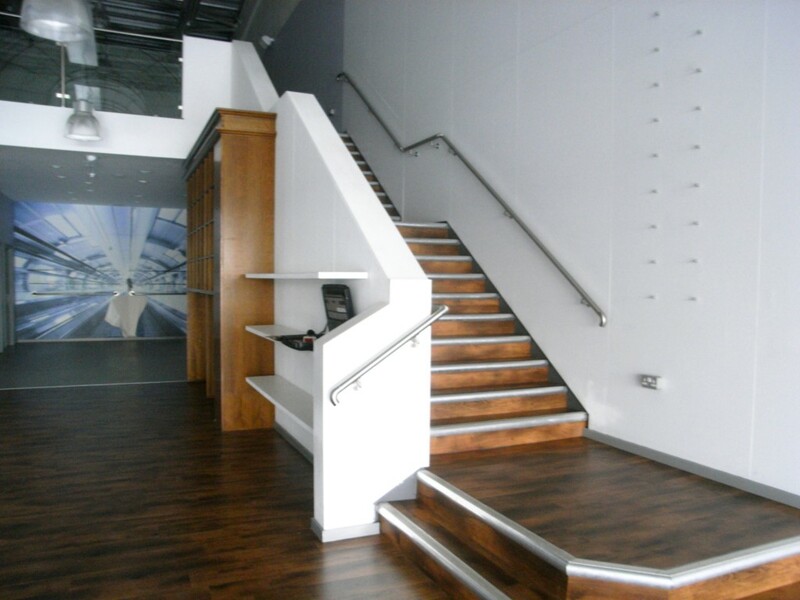 Feature stairs are available from 1200mm to 2400mm wide. 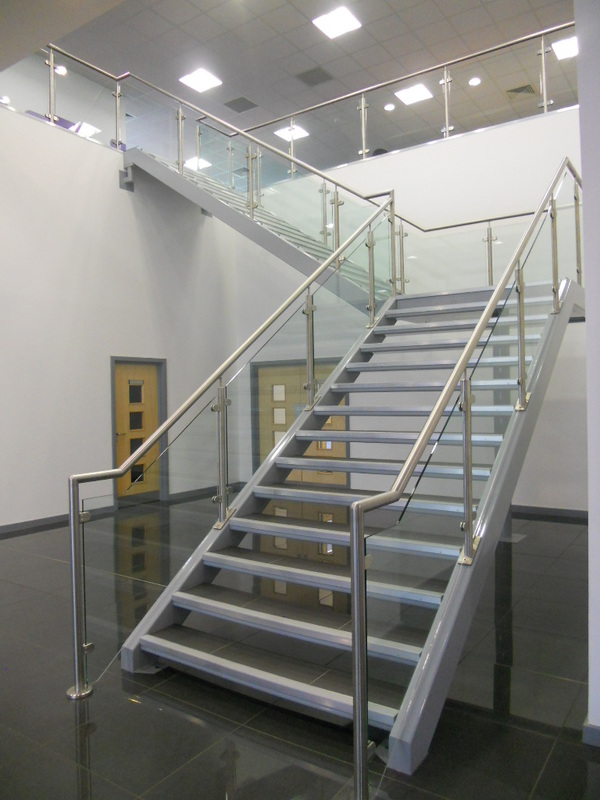 Handrails & Balustrades for industrial and retail staircases can be either welded to the stringers or wall mounted to a pattress. 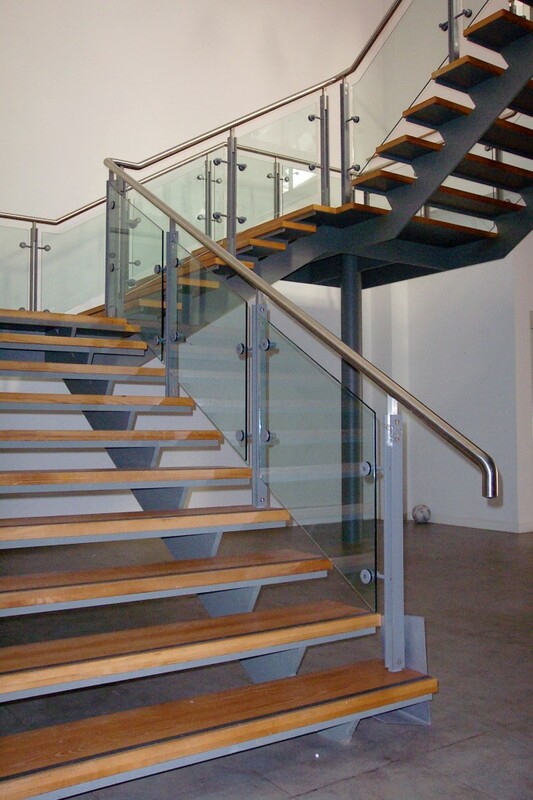 We can produce both industrial round and square tube rails and the more upmarket stainless and glass systems, popular for retail staircases. 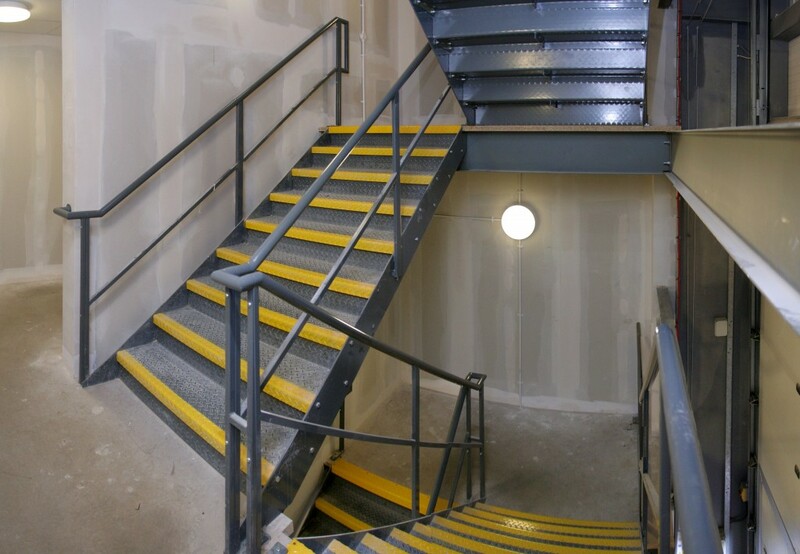 Treads are either chequer plate with contrasting yellow nosing, smooth finish to allow for a multitude of floor coverings or dished treads to allow for sound reducing concrete infill. 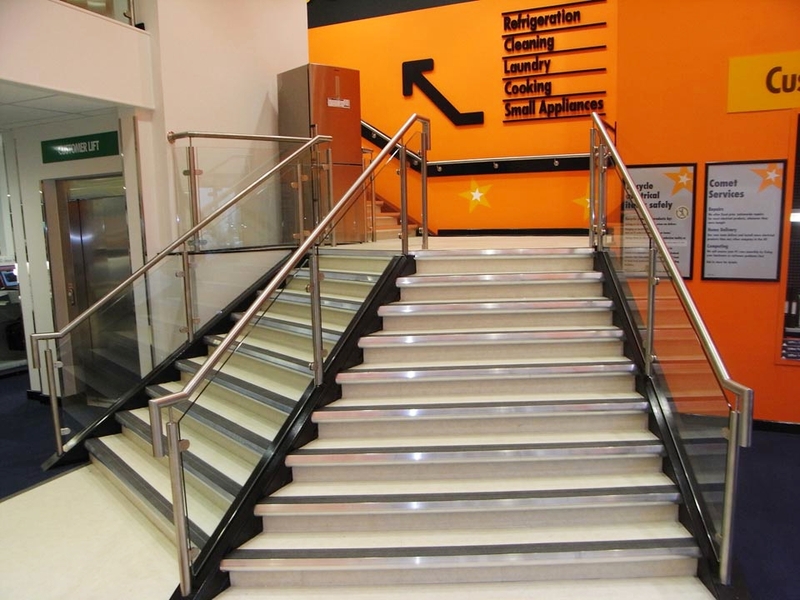 The finish on our industrial and retail staircases can be either galvanized or powder-coated to a specific RAL or British Standard colour. 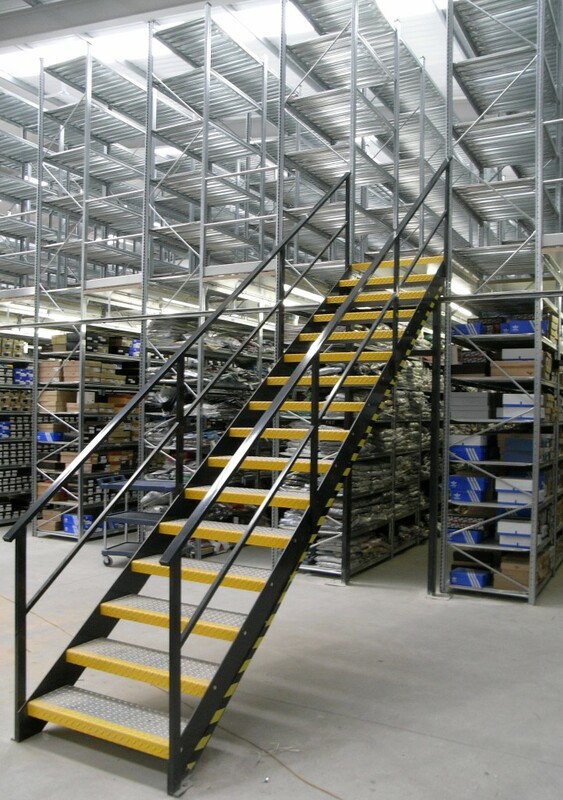 To purchase your custom industrial or retail staircase direct from the manufacturer contact Storplan today!